Haroldo Silva mostly stayed quiet throughout the day. He tried to avoid big pots. He sat with his hoodie over his head, didn’t talk much. But once he reached the final table he really kicked it into high gear. He started showing bluffs and pretty much all of his hands really. He picked up some chirping chips and could not stop talking. And he seemed to be a crowd pleaser as well. Every time Silva said something, he had everyone on the rail laughing. It was a hard fought battle for him, but he was eventually able to overcome Guilherme Cazula to take down the R$200,000, the $13,000 WSOPE package and the Breitling winner’s watch. Action started quick today with nine players falling within the first two levels. Of those to fall was former Brazil Series of Poker champion Fernando “Grow” Garcia. 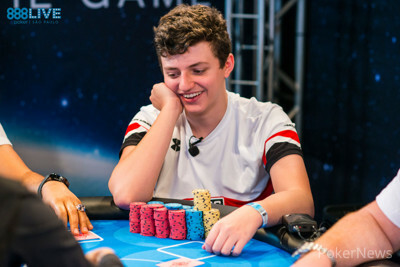 His king-jack fell to Junior Viana’s ace-nine and that was all she wrote for one of the biggest names in Brazilian poker. As the day went on action slow down a bit, with big pots happening here and there. 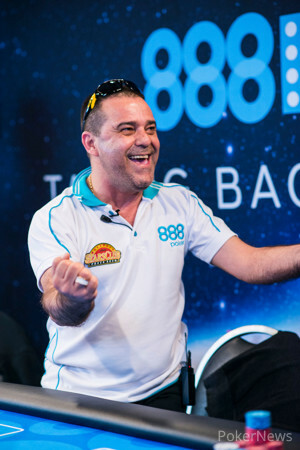 For most of the day, Daniel Aziz, Guilherme Cazula, and Mauro Tabarin exchanged the chip lead, and it was only fitting that all three would make the final table and finish 4th, 2nd, and 5th respectively. For Silva, he managed to squeak by mostly unnoticed, playing through most of the day with a short stack. He didn’t really make his move until he was at the final table. Multiple times throughout the day he tangled with Cazula and doubled though him at least twice. It was only fitting that the two would eventually come to heads-up play against each other. In one of the biggest moments of the day for Silva he doubled up holding ace-jack against Cazula’s ace-queen. The board gave Silva a much needed straight to double up and that would be the start of his rush. Once play reached five handed, Silva found himself as the shortest stack left in the tournament. He ended up shoving a total of seven hands in a row without being called, and when he finally found resistance, it was from Cazula again. This time he moved all in with against Cazula’s . The river bailed out Silva again when the hit and that allowed him to double to a healthy stack. Silva would then knock out Daniel Aziz with pocket kings against pocket sevens and for a while, he even held the chiplead. Cazula would knock out Emanuel Fernandez with an unbelievable king-high call and that gave him a 2-1 chip advantage heading into heads-up play. Silva struck first, doubling through Cazula yet again when his pocket fours held up against Cazula’s ace-king. Silva then went runner flush to put Cazula in the danger zone. Cazula was able to double a few times, but at the end of it, he couldn’t outdo Silva. 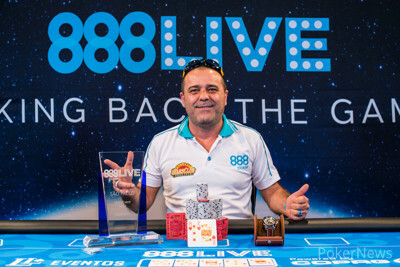 Silva got lucky on the river one more time to close out the tournament and end Cazula’s day, sending him home in second place, while Silva became the champion and earned R$200,000 as well as the WSOPE package and the Breitling winner’s watch. Haroldo Silva raised on the button enough to put Guilherme Cazula all in. Cazula called and it was off to the races. The flop was safe for Cazula when it came but the on the turn gave Silva extra outs. The river was the and that sealed the deal for Silva who made a pair of kings to lock up the tournament. A full recap of the event will be available shortly. Haroldo Silva raised on the button enough to put Guilherme Cazula all in. Cazula called. The board ran out giving Cazula trips and a much needed double up. Haroldo Silva opened with a raise to 450,000. Guilherme Cazula reraised, making it 1,000,000 and Silva called. The flop came down and Cazula led for 750,000. Silva called. Both players checked on the turn, but on the river Cazula bet 2,000,000. Silva instantly called and showed for a runner-runner flush and that earned him most of the chips in play while Cazula was only left with crumbs. Haroldo Silva raised to 450,000 from the button. 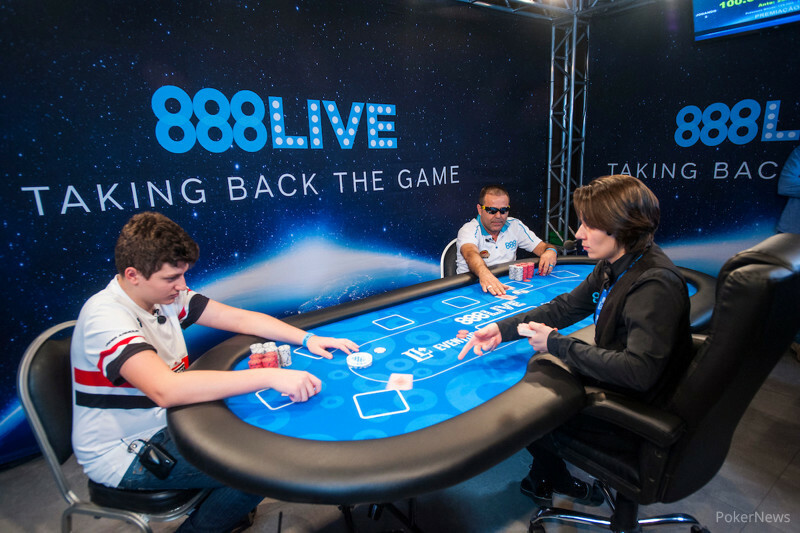 Guilherm Cazula then moved all in for effectively 6,650,000, which was what was left of Silva's stack. Silva tanked for a long time, then called. Guilherme Cazula opened with a raise to 450,000 from the button. Haroldo Silva reraised from the big blind, making it 1,100,000, Cazula called. The flop came and Silva checked to Cazula. Cazula put out a bet of 700,000 and that was enough to earn him the pot as Silva flashed his to the rail, showing that he had missed.